Senator Michael A. Figures was a trailblazer in Alabama’s legal sphere as well as in the state legislature. He triumphed over racial barriers to become one of the most revered lawyers and state senators in recent history. Figures was born in Mobile, Alabama, on October 13, 1947, as the youngest of three boys. In 1969, he received a Bachelor of Arts degree from Stillman College in Tuscaloosa. Three years later, he became one of the first three African Americans to earn his Juris Doctorate from the University of Alabama School of Law. Figures began practicing public interest law, and in 1975, returned to Mobile to partner with the “Dean of Black Lawyers,” Vernon Z. Crawford. He later established his own practice, taking up the cause of labor unions and small businesses, as well as the common man. In 1987, Figures served as co-counsel with the Southern Poverty Law Center in winning a major victory against the United Klans of America that resulted in a $7 million verdict against the organization and the two men charged with lynching Michael Donald, a black teenager. He was also instrumental in litigation that ended at-large elections in Mobile. His efforts in the courtroom earned him the Trial Lawyer of the Year designation in 1987. Figures’ legislative career began in 1978 when he defeated a white incumbent senator from Mobile County. This was the first time the citizens of Mobile County would have a black senator representing them in the State House. 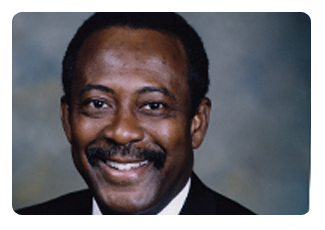 Figures held his seat for 18 years, during which time he was voted “Outstanding Legislator” (1986) and was elected President Pro-Tempore of the Senate, making him the highest-ranking African American in state government (1995). During his time in the legislature he was instrumental in many initiatives, one of which was the “Helping School” tags campaign started in 1990. Because of his efforts, over $600,000 is generated annually for local schools. His legislative interests were broad, ranging from the structure of Mobile city government to education reform. And he continued throughout his tenure as a legislative advocate for the rights of the less privileged, from helping protect the heirs of small farms to authoring and championing fair housing legislation. Hall of Fame in 2009.